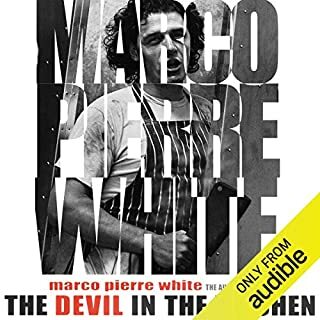 When Marco Pierre White's mother died when he was just six years old, it transformed his life. Soon his father was urging him to earn his own keep, and by 16 he was working in his first restaurant. White went on to learn from some of the best chefs in the country, such as Albert Roux, Raymond Blanc and Pierre Koffmann. He survived the intense pressure of hundred-hour weeks in the heat of the kitchen, developed his own style and then struck out on his own. 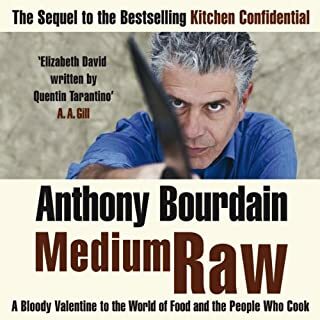 Here is Anthony Bourdain's long-awaited sequel to Kitchen Confidential, the worldwide best seller. A lot has changed since then - for the subculture of chefs and cooks, for the restaurant business, and for Anthony Bourdain. Medium Raw explores these changes, moving back and forth from the author's bad old days to the present. 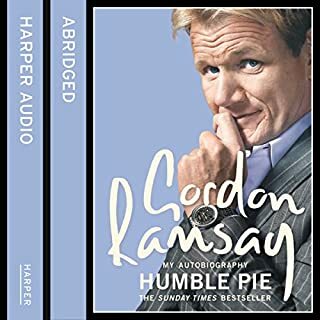 This is Gordon Ramsay's autobiography, the first time he has told the full story of how he became the world's most famous and infamous chef. He also discusses his difficult childhood, his brother's heroin addiction, and his failed first career as a footballer. 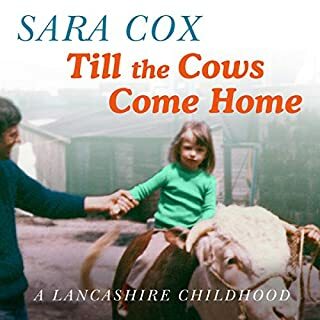 The stories from his childhood in Somerset are vivid and moving: his grandfather with his tin leg, his mother at the mills, and his uncle, the ferret keeper and the black sheep of the family for ‘carrying on’ with married women. Keith Floyd spent a short spell on a local newspaper, and then, in a hilarious episode, joined the army. After he and the Ministry of Defence decided that they did not suit each other, he took his first cooking job as an assistant vegetable cook in a Bristol hotel. 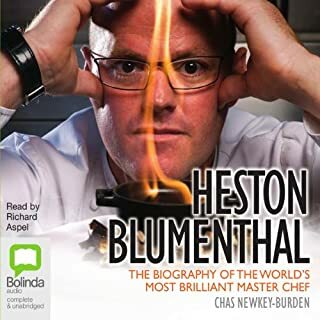 Celebrity Chef Heston Blumenthal is a gastronomic alchemist who sees the kitchen as a laboratory where he loves to experiment with new ways to tantalize diners' taste buds. 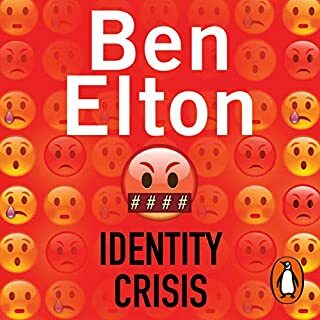 The story of his life is every bit as colorful and attention-grabbing as his famous snail porridge and bacon-and-egg ice cream. 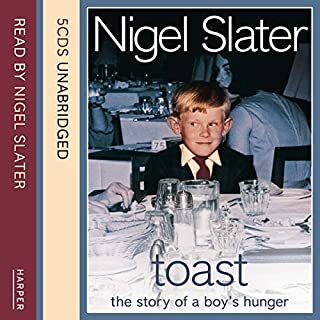 This biography traces his journey from a life-changing childhood holiday in France through to his brief apprenticeship in Raymond Blanc's restaurant, where he stood up to a kitchen bully. 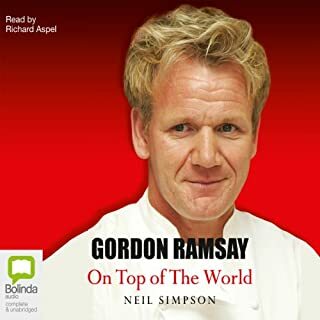 Best known as the host of Fox's Hell's Kitchen and Kitchen Nightmares, Gordon Ramsay is one of the most driven, successful, and irate chefs around. He has thrown Hollywood actresses out of his restaurants and is notorious for his anger, but his food has been served to numerous heads of state, and he is one of only three chefs in England whose restaurant is rated at three Michelin stars. Sometimes hilarious and frequently heartbreaking, this is Gordon Ramsay’s full life, from tenements and poverty to top-notch restaurants and fame. The UK's most influential food and drink journalist shoots a few sacred cows of food culture. The doctrine of local food is dead. Farmers' markets are merely a lifestyle choice for the affluent middle classes. And 'organic' has become little more than a marketing label that is way past its sell-by date. That may be a little hard to swallow for the ethically aware food shopper, but it doesn't make it any less true. And now the UK's most outspoken and entertaining food writer is ready to explain why. 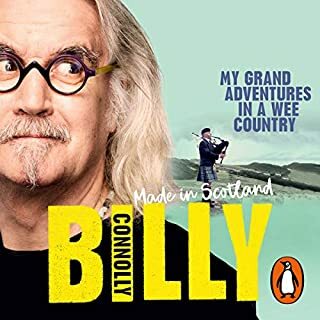 Britain's most popular cook describes his personal culinary odyssey, from dangerous encounters with his mother's weevil-seasoned cakes to being harangued by readers who think he deliberately styles Yorkshire puddings to look like a woman's private parts. The British have a relationship with their food that is unlike that of any other country. Once something that was never discussed in polite company, it is now something with which the nation is obsessed. But are we at last developing a food culture or are we just going through the motions? 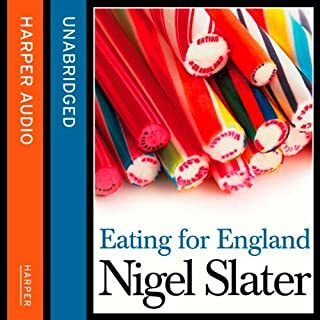 Eating for England is an entertaining, detailed, and somewhat tongue-in-cheek observation of the British and their food, their cooking, their eating, and how they behave in restaurants. 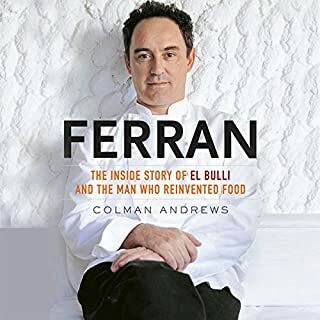 In his lively, unprecedented close-up portrait of Ferran Adrià, award-winning food writer Colman Andrews traces this groundbreaking chef’s rise from resort hotel dishwasher to culinary deity, and the evolution of El Bulli from a German-owned beach bar into the establishment voted annually by an international jury to be “the world’s best restaurant”. 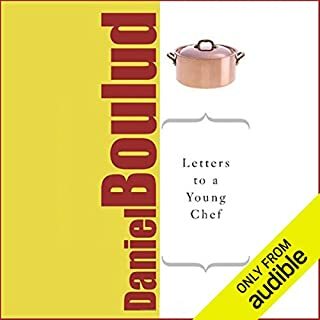 From the reinvention of French food through the fine dining revolution in America, Daniel Boulud has been witness to, and creator of, our contemporary food culture. A modern man with a classical foundation, he speaks with the authority that comes from a lifetime of experience, and no small amount of passion, about the vocation of creating and serving food. ‘All men should strive to learn before they die what they are running from, and to, and why’. 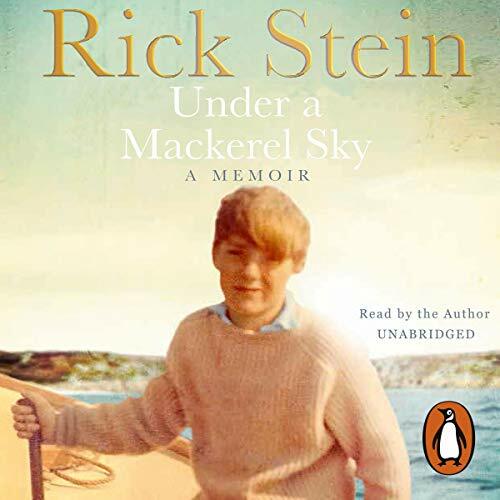 Rick Stein's childhood in 1950s rural Oxfordshire and North Cornwall was idyllic. His parents were charming and gregarious, their five children much-loved and given freedom typical of the time. As he grew older, the holidays were filled with loud and lively parties in his parents' Cornish barn. But ever-present was the unpredicatible mood of his bipolar father, with Rick frequently the focus of his anger and sadness. When Rick was 18 his father killed himself. Emotionally adrift, Rick left for Australia, carrying a suitcase stamped with his father's initials. Manual labour in the outback followed by adventures in America and Mexico toughened up the naive public schoolboy, but at heart he was still lost and unsure what to do with his life. Eventually, Cornwall called him home. From the entrepreneurial days of his mobile disco, the Purple Tiger, to his first, unlikely unlikely nightclub where much of the time was spent breaking up drink-fuelled fights, Rick charts his personal journey in a way that is both wry and perceptive; engaging and witty. 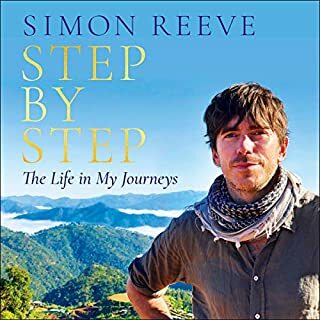 Narrated by Rick Stein himself. Pleased Rick Stein is a chef and not a writer! What would have made Under a Mackerel Sky better? Like most people who bought this book, I quite like Rick Stein. However being a successful chef and a competent author are rarely achievable and I regret Rick Stein is no writer and his narration is mind-blowingly boring and monotone!Like a football match this is a book of 2 halves. The 1st half before Rick Stein starts opening restaurants is a good read and enjoyable. The 2nd half however when Rick Stein starts his restaurants is, I regret pretentious twaddle. How anybody believes that listing names of wines and foods is interesting to the reader I have no idea. Furthermore I note the early in the biography Rick Stein states he wanted to be a journalist. Luckily nothing ever materialised and I'm pleased he did not succeed as the writing here is very poor. I could not see him even succeeding at a local newspaper.One thing that really annoys me about books nowadays is when the author takes quotes from other books. I never find that interesting and often I wonder why they do it unless it for ego.It's like look at me I'm well educated! It adds nothing to the book in this case.Talking about ego, Rick Stein repeats several times that people and journalists now refer to Padstow as Padstein. I read and have read quite a lot of newspapers and have been to Padstow on a number of occasions but I've never heard of this and wonder again if this is ego massaging.The last few chapters deal with the breakup of his marriage and the way it is written Rick Stein seems rather proud that he dropped Jill, his wife of 20 odd years who had stood by him through thick and thin and married Sass whom he met on a restaurant reviewing panel whilst in Australia. Rick Stein tries to make you sympathise with his position but to be honest, even from his the death of his father, I feel absolutely nothing.I put this down to poor writing.Funnily enough the stories I did enjoy in the book I'd heard before or seen on TV i.e. the situation where Keith Floyd calls him Nick and the mandolin cutting episode and in my opinion they are the funniest parts.Just to conclude, I still like Rick Stein I find him interesting though I do get irritated with the way he throws down his knife and fork on his plate after eating a meal. Also he always has a downer on what we British eat or decide not to eat. However he is entertaining but regretfully this book does nothing to promote him.One final point, I note that reviews which only give one or 2 stars are usually neg'ed by fans and as such I can't see many fans of Rick Stein getting this far in the review and I expect to receive the abuse of many Rick Stein lovers. I've tried to write when I believe to be a true reflection of my view of the book. Has Under a Mackerel Sky put you off other books in this genre? Would you be willing to try another one of Rick Stein’s performances? No, his narration is awful. I struggled but persevered to finish it. I am a fan of Rick but found the book hard going. Yes I have no problem recommending this book, It's well written very interesting and Rick is not afraid of highlighting some of his own personal, as he sees them "weaknesses". 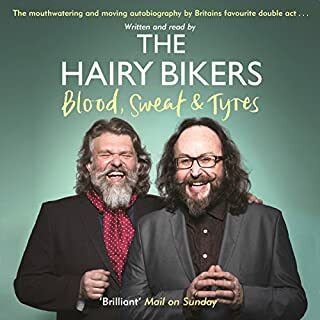 However surprisingly Rick is not a great narrator considering how good he is in front of the TV cameras, but don't let that put you off he get's better as the book progresses. I found his life story very interesting, moving and made my mouth water when he talked about. Just wish he had chosen someone else to read it. Painful narration style. Not smooth flowing telling of a complex story. What an interesting life he had. We lived in one his flats just after they were set up above the original restaurant. No idea he had had such a wide- ranging life. 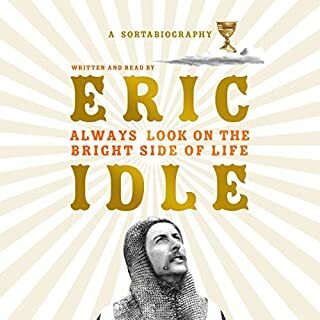 From Uppingham to tragic death of his father and everything else in between and eventual entry to Oxford to read literature. Obviously loves words but if you quote poetry you have to sell it not just deliver a few flat lines and they have to obviously relate to the subject. I just got the feeling the quotes were in there for the sake of it. Very well connected. Knows everyone in his field and huge connection based on family background. A troubled man who went a long way round to find his reason for being. Great cook, raconteur and when watched on tv far less stressful to listen to. 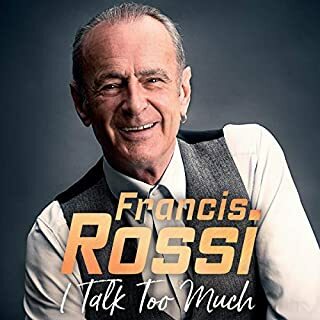 I wouldn’t fancy listening to him at the Palladium. Chalky was an excellent prop and friend. Complicated, talented man and one hell of a cook. No idea he was anywhere as interesting as he is. Respect. I have been desperate for Rick Stein to write an autobiography for years, and now he has it was truly wonderful. Rick narrating makes it even more special. I have learned so much about him and behind his programs I so dearly love. Inkjet I will listen to this again. A well written book. Very enjoyable. Read by the author which always helps convey a good atmosphere. Rick’s soothing voice, total frankness makes me crave Padstow and do love the book. He’s about the most genuine author I’ve read from. His life in his voice - what a treat! 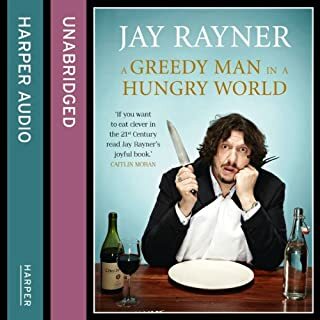 Would you consider the audio edition of Under a Mackerel Sky to be better than the print version? Have you listened to any of Rick Stein’s other performances before? How does this one compare? 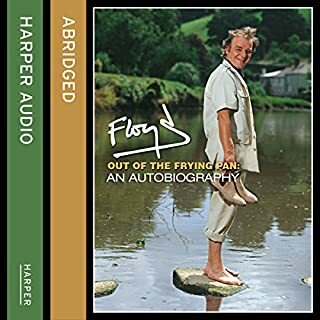 I have the Food heroes of Britain and Seafood Odyssey on DVD, but listening to his life story on audio, as I drove to work was a special treat. Laughed at some bits, was made very hungry at some of the scrumptious descriptions of food! I was also taken aback at some things, like his father's death, and other unexpected events that were quite shocking! Fascinating man and fascinating life. Would you ever listen to anything by Rick Stein again? I found him very honest especially in his discussion of his family and his relationship with his father and also his sexuality. But he displays so little maturity or self awareness, especially in relation to his relationships with women, and the events which comprised his travels. I would have preferred not to have heard this unflattering autobiography.